At CTIA Wireless 2011, I ran into a HTC employee who choose to divulge some interesting details about the company’s planned software update timeline. I learned that Android 2.3 Gingerbread would definitely head to the HTC EVO 4G very soon. The update is not just limited to that phone either, other HTC “legacy devices” which currently run on Android 2.2 Froyo will apparently also get the update. The catch? HTC does not intend to push out the update until at least one flagship smart phone sporting Google’s new OS reaches store shelves. This is to ensure that customers do not hold back from purchasing newly announced devices. Once at least one Gingerbread smart phone reaches consumers, HTC will release the upgrade for their older Android models. When asked about the company’s first Android 2.3 device, the employee was careful not to say too much more. 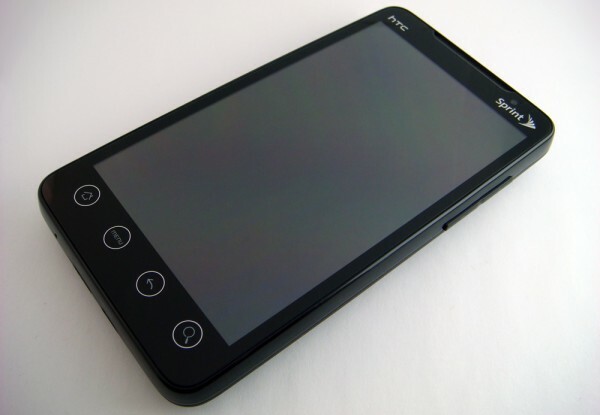 There is a very good chance that it might be the Sprint HTC EVO 3D, which BGR just leaked. This means existing Android 2.2 Froyo devices might get the new update sometime after this week’s announced products hit the market. I was even told that updated “legacy devices” would also come with the newest version of HTC Sense. This means an even more polished interface, smoother transitions, fancy animations, access to a set of new widgets, DLNA streaming integration, new out-of-the-box skins, and much more. While other companies have abandoned support for older Android devices as new ones steal the spotlight, it is great to see HTC make a commitment to existing customers. The EVO 4G already received an upgrade to Android Froyo 2.2 after launching on Android 2.1 Eclair and another update would add even more value to the handset. I really really really hope this is true. EVO is starting to get all rusty. This would make it way better. Anyways HTC still is best at doing updates for phones, there was a chart on another blog recently about that. They came in #1 above Moto and Sammy too. I would say the flip side to htc’s theory is that Sprint’s website is already advertising the Nexus S 4G (with Gingerbread) as “coming soon”. If I were htc, I would get Gingerbread out on both Evos asap, in order to encourage “by brand on-the-fence shoppers” to choose an already proven phone, complete with the newest operating system. I’m already running GingerBread on my Evo via King’s ROM. Its awesome and definitely a big step up from Froyo. Few questions for you. I have an EVO 4G as well. One of the first ones straight from Google I/O. 1) If I switch to that ROM from stock Froyo 2.2 OS, can I go back when Sprint releases this update? 2) Will I get free tethering with the embedded Gingerbread Hostspot feature? 3) Does the 4G radio work without any issues? Do both Cameras work too?